Mukilteo Home Prices On The Rise! 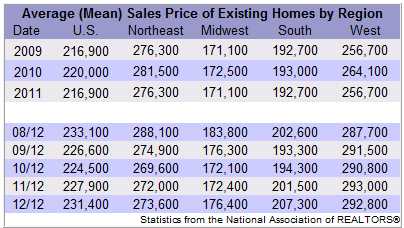 Existing-home sales were up 9.2 percent in 2012, according to a recent report by the National Association of REALTORS (NAR). Existing-home sales, which include recently purchased single family, townhomes, condominiums, and co-ops reached 4.65 million units in 2012, the highest volume since 2007 when it reached 5.03 million units. Demand remains strong despite a slight sales decrease in December, says NAR chief economist Lawrence Yun. "Record low mortgage interest rates clearly are helping many home buyers, but tight inventory and restrictive mortgage underwriting standards are limiting sales," he said. "The number of potential buyers who stayed on the sidelines accumulated during the recession, but they started entering the market early last year as their financial ability and confidence steadily grew, along with home prices. Likely job creation and household formation will continue to fuel that growth. Both sales and prices will again be higher in 2013."